ADRI Vega del Segura is a rural group which aim is the sustainable development of the rural area of Vega del Segura territory, providing the necessary technical assistance, through the study, programming, planning, application and management of programs and initiatives of national, regional or local scope. It is a non profit organization that gathers together 12 municipalities, regional bodies related to tourism and economic development, agrarian organizations, local federations and associations related to women, culture, young people and handicapped persons among other stakeholders. ADRI Vega del Segura will participate in LIVERUR providing feedback from all the stakeholders of the territory and in particular from those who are developing innovative business models within the Living Lab approach. Its participation will range from the definition of the concept including the identification of best practices, the contribution to the benchmarking study of innovative rural business models, the collaboration with the stakeholders in the piloting action regarding the digital platform on innovative business models and the specification of requirements for the adaptation to the territorial guidelines developed in the project, up to the dissemination and cooperation in the fostering of circular economy business models for the rural economy present in the territory. 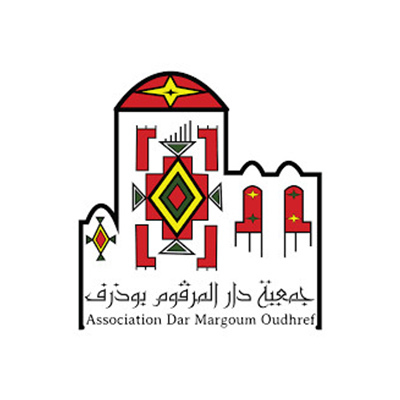 The Association « Dar Margoum » Ouedhref is a Tunisian non-profit organization established in 2012. The main mission of the Association is to preserve the authenticity of Margoum, the berber carpet, and to give value of the products by the unique labels to each pieces which was developed by the Associaton. One of the objectives is to encouraging innovation, creation and renewal also paving the way for graduates of higher institutes of arts and crafts, to help artisans women to go a step further to preserve our heritage by the improvements of their skills as creators and entrepreneurs . Moreover, to recover certain textiles defunct; for example: Alhnbl-Alepesht-Pad, send a tag for the Margoum and create a database of around 700 motifs which represents the rich berber carpets since long centuries. The planned pilot in Tunisia will be the first in terms of circular economy and organic weave in rural craft sector. Union “Farmers’ Parliament” (FP) is the voice of Latvian farming sector. It provides professional representation and services not only to its members but also to all of Latvia´s farming society. It is the main agriculture lobby institution with long lasting, highly successful and professional ties in rural development sector both in the country and European Union (EU and government institutions, rural NGOs, sector service institutions, SMEs, education institutions, experts). In Latvia​,​ the Union of “Farmers Parliament” proposes ​to collect information in Latvia for ​extensive ​analysis of existing rural business models​ and agro-food value chain;​ to​ ​p​rovide feedback and adaptation of the analysis results (WP2); to ​develop Living Lab models which can be tested in rural areas to innovate and upscale sustainable water use and management in fruit and berries sector. ZSA will also test ​the​ implementation and impact of new rural business models in a Living Lab environment in irrigated farms producing Fruits and Berries in Latvia​ and pilot actions implementation in order to prove the feasibility, scalability and cross-border interoperability of LIVERUR project and RAIN ​entrepreneurial tool ​concept​ (WP5​ and​ WP6)​ and will support communication in and on the LIVERUR project (WP7). CESIE is a European centre of Studies and Initiatives promoting and which works for the development of innovation in educational, social, economic and cultural spheres, without lucrative purposes. It was founded in 2001 based on work and theories of our inspirer, sociologist Danilo Dolci. CESIE aims to foster sustainable and inclusive development and growth of EU and neighbouring regions through research & innovation, education and training.All CESIE’s activities are supported by diverse groups of more than 900 local and foreign stakeholders (Policy makers, HEIs, Civil society organisations\NGOs, SMEs, youth, business organization, etc. ), international and European networks. CESIE will contribute actively to the implementation of all WPs bringing in its experience in conducting transdisciplinary research, territorial and socio – economic development analysis; establishing and managing collaborative innovation processes based on the involvement of a plurality of actors; designing training programmes and tool for entrepreneurship in rural areas. Based on this experience CESIE has been chosen to lead the WP2 Task 2.2 (Systemisation of benchmarking criteria) – in order to compare traditional value – chain approaches and the Task 2.3 (weaknesses and challenges of existing rural business models). In parallel, it is involved in all other WPs, contributing to their implementation together with all the Consortium. UCAM, established in 1996, is a private university with more than 20.000 students that offers prominent European official degrees, Master programs, PhD programs and other prestigious titles. Its teaching method is based on a personalized attention with reduced students per classes and a personal tutor for each student as well as a modern system of distance teaching. UCAM is strongly linked with the work world through study plans adapted to market exigencies and research programs in collaboration with big regional, national and multinational companies. UCAM considers the international communication as the key for its growth and in achieving great results together with the advancing contribution in all scientific areas. With the International Project Office (OPRI), UCAM is aligned with the R&D policies of the European Union and the Ministry of Science and Innovation through participation in calls like H2020, LIFE, Erasmus+, Creative Europe, amongst others. UCAM will be the coordinator of the project taking the responsibility of the administrative project implementation, its financial and technical justification, the consortium management and the coordination of the Quality control. It will also coordinate dissemination actions of project results and participate in other WPs according its expertise regarding analysis of business models, territorial context of business development, academic background to the creation of the new concept “Circular rural living lab”, implementation of new business models and design of online platforms. Specifically UCAM will lead WP 1 (project management) and WP 7 (communication and dissemination); and the task 5.4 (Knowledge and experience share). It will also participate in the following WP2, WP3, WP4, WP5 and WP6, according to its expertise. role is to represent farmers to public authorities and to provide services to farmers and other rural stakeholders. 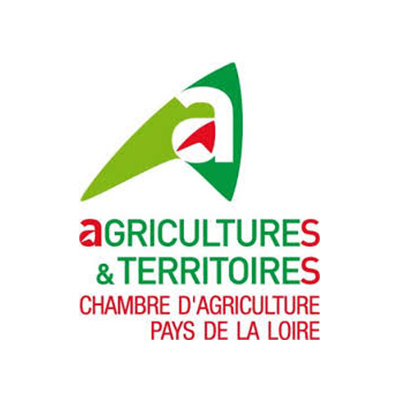 These services include technical advice, training, coordinating groups of farmers, experimentation and demonstration, producing technical and economic references.CRA Pays de la Loire is involved in the following main issues : livestock and plants productions, spatial planning, circular economy, environment. WP1: To participate to the Project Coordination Committee. WP2: To provide feedback and data on business models in Pays de la Loire. WP3, WP4 and WP6: To provide feedback. WP7: To communicate in and on LIVERUR project. The Chambers of Agriculture are consular organizations (consular chamber). They were founded in France by the law of 3 of January 1924. The French Chambers of Agriculture are self-governing public bodies, managed by elected farmers. They are responsible to represent all the different economic agents of agriculture to public authorities: farmers, but also owners, employees, and agricultural organizations such as mutual societies, cooperatives, credits and trade unions with a general vocation. They can also be seized by local and regional authorities on a regional planning issue. Their second role is to provide services to farmers and other rural stakeholders. These services include technical advice, training, coordinating groups of farmers, experimentation and demonstration, producing technical and economic references. 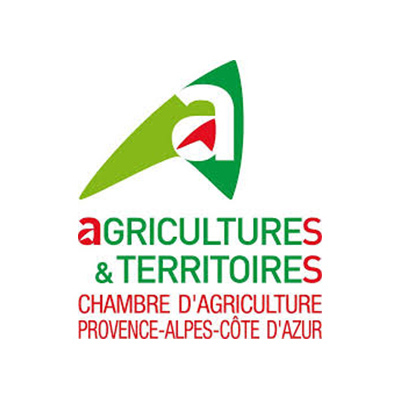 In France, the Chambers’ network comprises 86 Chambers at department (district) level, which are directly in contact with farmers and 13 regional Chambers (as PACA and CAPdL) which are in contact with regional authorities. For LIVERUR H2020 Project, in Provence-Alpes-Côtes d’Azur, 3 departmental Chambers of agriculture and IRSTEA are associated with Regional Chamber to propose: feedback in complete and extensive analysis of existing rural business models and value chain in South of France (WP2), feedback in Living Lab models building which can be developed in rural areas in regards to water use and management in PACA. Building local communities to establish a stakeholder support base for Living Lab test (WP3, WP4), feedback on expertise in information and communication technologies and information processing to participate to workshops(WP3, WP4), test of implementation of RECLILAB concept in irrigated farms producing Fruits and Vegetables in South of France and contribute to piloting actions implementation in order to prove the feasibility, scalability and cross-border interoperability of LIVERUR project and RECLILAB concept (WP5/6) and Communication in and on the LIVERUR project (WP7). 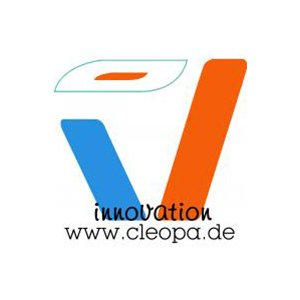 Cleopa GmbH is a provider of innovations offering a wide range of consulting and service offers. Cleopa was founded in 1998 and it counts 28 employees currently. In the private sector, we offer energy audits and custom-made solutions for enterprises which would like to reduce their CO2 balance. Moreover at a research level, Cleopa is trusted very well with the chances and challenges of energy efficiency projects, which is based on its long-standing activity in the energy consulting. Cleopa develops and executes innovation projects for and with partners in the field of energy. This includes the management consulting for energy efficiency, financing, commercialization, participation in the submission, involvement of the companies in associations as well as the participation in the project implementation and documentation. Cleopa is the partner of LIVERUR that will take care of encompassing all the environmental and energy – related challenges. Thanks to its long lasting experience in stakeholders involvement and energy efficiency problems, Cleopa will cover the following role: in WP2, Cleopa will contribute to the identification of the business models that show lower impacts on the environment, developing and enhancing the EF technique in order to adopt the outcome to the rural business models. IN WP3 and WP4 Cleopa will assist the creation and elaboration of the RAIN concept, both in terms of environmental impact and stakeholders’ feedback involvement. During the implementation of the pilotings (WP5) Cleopa will assist the different territories in the Impact Assessment for the environmental – related indicators. WP6 will see Cleopa smart abilities employed: thanks to precedent projects, Cleopa is able to help Wellness Telecom in the development of the platform, especially when it comes to stakeholders’ acceptance and inclusion. As all the other partners, Cleopa will be strongly active in WP7 for dissemination and communication activities both on German and Pan – European soil. 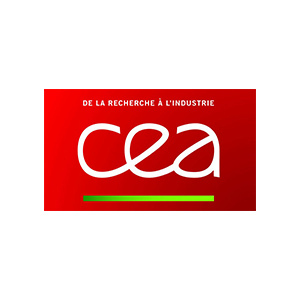 CEA is a French government-funded technological research organisation. The CEA is active in four main areas: low-carbon energies, defense and security, technologies and health technologies. In each of these fields, the CEA maintains a cross-disciplinary culture of engineers and researchers, building on the synergies between fundamental and technological research. CEA will propose Workpackage Coordination, collect and analyze existing rural business models, supporting the criteria definition and analyzing existing rural BM, task leader of the benchmark study on rural business model in Europe, support french pilot action to define business model and circular BM, and for implementation. Workshop animation to gather stakeholder in support for French pilot, support to deploy guideline by animating local community through the circular living lab toolbox, and for the implementation of the guidelines, and translation. E35 will mainly contribute by providing data and information for the analysis of existing business models at local level in Reggio Emilia territory. E35 will also contribute in identifying weaknesses and challenges of existing rural business models, according to the local context, and will contribute to the benchmarking study according to the input provided by the coordinator. 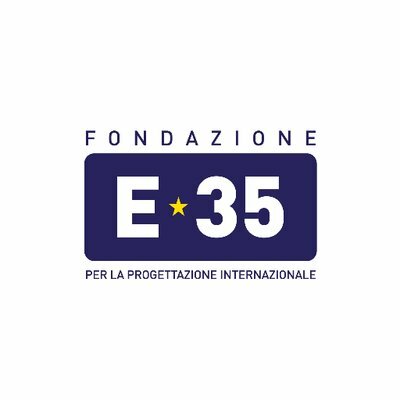 E35 will contribute to the definition and implementation of Reggio Emilia living lab and to the analysis of the technique to be developed, identifying implementation challenges responding to the local context, according to the specificity of the territory, to the stakeholders involved and to the applicable legislation, contributing also to the feasibility assessment. The Federal Institute of Agricultural Economics, Rural and Mountain Research (BAB) is a socio-economic research institute located in Austria. BAB conducts research on the Austrian agricultural sector, both with a national focus and in the international context. Main research topics are agricultural economics related to business management, agricultural markets, the food economy, the downstream sector, agricultural policy; rural sociology, regional research and regional policy in consideration of nature conservation and environmental protection; agricultural statistics as well as international economic integration and global agriculture. BAB brings in an expertise on research of the development of the agricultural and rural development sector including the upstream and downstream industries, integrating other sectors, environmental and societal aspects. Based on the findings in previous work packages, BAB will contribute particularly to: identifying and analyzing different business models in the pilot regions; developing a concept for circular Living Lab business models for rural regions; identifying and defining ways and tools for regionally adapted implementation to be used by the pilot region partners. SOGESCA is an engineering and consultancy company founded in 1986. It is experienced in the implementation of Environmental and Energy Management Systems in all sectors and in organizing training courses in the sector of environment, energy and renewable energy sources promoting an environmental culture and energy saving practices. SOGESCA is also experienced in policy and territorial planning in cooperation with regional and local Governments and in detailing investment plans to improve the sustainability of territories and enterprises. SOGESCA works as consultancy providing advice about the project pillars, environment and resilience, resource efficacy and efficiency, competitiveness and rural value chains, new market and technologies and governance processes. 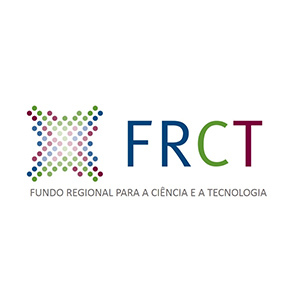 The Regional Fund for Science and Technology (FRCT) is a public agency of the Regional Government of the Azores, under the Regional Secretariat for Sea, Science and Technology (SRMCT), the authority responsible for the region RIS3 development and implementation. FRCT manages the regional funds available for science, technological development and innovation, promoting and integrating relevant research projects and providing research grants. It is also the privileged channel for the Regional Government of the Azores participation in research projects and collaborative activities with external entities. Connecting Rural Europe through a Digital Rural Living Lab to stimulate co-creation of knowledge, engage stakeholders and identify new rural business models challenges and opportunities is the key of LIVERUR project. FRCT role in this project will be transversal in several phases of the project, giving inputs to WP2, for the existing rural business models; WP3, by giving inputs and validating the Living Lab methodology to be used; WP4, for the business model of the Living Lab; WP6, by sharing it regional experiences internally and with other projects; and WP7, giving its contribution for the dissemination of the project outputs. FRCT will lead WP5 for the Implementation of the New Business Model ToolBox in the piloting territories, which will be the result of the compilation of at least 50 case studies. It will include working sessions with training on how to develop tailored business sustainability analysis, usage of digital tools to promote their rural businesses and how to sell their products and develop their own digital marketing plans, fit to their audience and product/service. The Institute of Entrepreneurship Development (IED) was established in 2005. It is a Greek NGO committed to the promotion of innovation and enhancement of the entrepreneurship spirit. By recognizing entrepreneurship as a crucial for the development and cohesion of societies, it provides innovative solutions that address its vision of social and economic cohesion and development. It has been successfully implementing high quality entrepreneurship courses, tailor-made for the needs of the target group that each course aimed at. Many of the courses focused on groups or individuals coming from disadvantaged background (Roma, NEETs, People without formal education). WP2 Analysis of existing rural business models in the consortium áreas. WP3 Mapping the existing rural living lab techniques: Feasibility assessment on the integration process in the consortium territories. WP4 Development of a regional circular living lab business model. WP5 Piloting actions for implementing the new business model. WP6 Development of the regional circular living lab tool for entrepreneurs in rural areas. Regionalmanagement Burgenland GmbH was founded in 1995 and is – commissioned by the Province of Burgenland – service provider and contact point for the entire population of Burgenland. The company acts as a mediator, coach and translator between the EU and the people of Burgenland. The purpose of the company is to coordinate EU regional grants, foster the establishment of regional joint ventures, offer consulting, prepare surveys and planning documents, innovation and pilot projects as well as monitor and evaluate EU projects. The six nature parks of Burgenland are managed and coordinated by the ARGE Naturparke Burgenland since end of 2001, which is also a responsibility of the RMB since its inception. The aim is to establish the nature parks and rural areas through joint projects, the development of new products an new touristic offers as well as joint marketing activities. Through the international cooperation and the exchange of experience we expect the acquisition of additional competences in the field of living lab research. Experts and relevant stakeholders from different sectors will try to develop new innovative business models in the rural area of pilot region Südburgenland. TR Associates Ltd is an innovation minded company, based in Malta. It was awarded by two European Innovation prizes. The main mission is bringing open innovation to the marketplace in different areas of ICT enabled applications, based on a large partnership of stakeholders (PPPP). Its mission is also to explore and achieve (national/European) policy and business goals related to research and innovation, to generate new projects, under the frameworks of different European, national and international programs, calls and tenders. The company is founding member of the European Network of Living Labs and his key expert has assisted in the creation of 16 living labs in 7 countries in the last 10 years. TR Associates aims to generate new methodologies and technologies to approach rural territories weakness and strengths in Eco-Gozo as “brand of the eco-island” and follow the entire supply chain for the sustainable eco-production and vulnerable integration of the man agricultural segments (diary, tomato). Through a rural innovation ecosystem the involvement of each key stakeholder is crucial to take a part of new rural circular economy platform. The “Unione dei Comuni Trasimeno” was created by the 8 Municipalities of the Trasimeno lake area (Castiglione del Lago, Città della Pieve, Magione, Paciano, Panicale, Passignano, Piegaro e Tuoro) aims to develop synergies and cooperations between the Public Admninistrations ( Municipalities, Province, Regional Government), the Economic entrepreneurs and the non profit sector to implement the EC Integrated Territorial Investment (ITI). The natural capital and the cultural and historical heritages are the strategical resources to be valorised towards the sustainable and resilient development of the area. The UCT will improve and innovate all public services for the citizens and entrepreneurs, based on processes of co-construction (e.g. agenda-building and policy inputs, co-evaluation, co-funding) and co-production (e.g. citizen science), focusing on agriculture, tourism, handcraft, social innovation sectors and digital agenda implementation as well as to support the start-ups development. WP1: project management :as partner UCT will support the project leader to achieve the expected results and to guarantee the management. WP2 : describing the local situation of the farmers and identifying the most relevant farmers business models (agriculture, tourism, handcraft), aiming to focus the suitable benchmark criteria to assess the existing supply/value-chains. WP3: support the partnership to define the Living lab concept for the Trasimeno rural area, identifying the framework condition to implement it / integrate it. WP4 : foreseen the living lab concept with the circular economy for the Trasimeno area and collaborate to the definition of the guideline for future implementation in LIVERUR piloting areas and beyond. WP5: Selection of the pilot actions in the Trasimeno area to be implemented, using the living lab and RECLILAB concepts, as well as the support for the impacts assessment. WP6: involving the pilot (agriculture, tourism, handcraft) SMAEs to actively participate to the RECLILAB Entrepreneurial Community. WP7: implementing the Communication and Dissemination and Exploitation activities, aiming to win new territory. University of Ljubljana is the oldest and largest higher education and scientific research institution in Slovenia. It is renowned for its quality social and natural sciences and technical study programmes, structured in accordance with the Bologna Declaration. Our projects keep pace with the latest developments in the areas of arts, sciences and technology at home and abroad. The UL will share the knowledge and experience in various user-centered, open innovation and co-creation methodologies. Moreover, the UL will implement the pilot in Slovenia. The team will work closely with different stakeholders and stakeholder groups in the preparation, execution and evaluation of the pilot in Slovenia. And the UL will collaborate in the communication, exploitation and dissemination of project results. participants on project WIRELESSINFO IST 1999 – 21056 to share common IPRs from WirelessInfo project. WRLS has a very wide field of activities with a big exploitative research and implementation potential on both on Czech market and international market. Main goals of WIRELESSINFO are activities in research, new development, testing and exploitations of new geographic information systems and technologies for data collection and data management. WIRELESSINFO as Czech Living Lab and Innovation Hub for Agriculture will cooperate on building sustainable Living Lab Model together with Úhlava, o. p. s. (UHLAVA). WRLS will use its experience from building of Living Labs network and share practical experience from WRLS operation and also will re-use previous experience from collaborative@rural project. In the LIVERUR project, WRLS will act as a technical partner of UHLAVA and will cooperate in the area of Czech Piloting areas. WRLS will take responsibility for building ICT solution supporting implementation of business model for UHLAVA. WRLS is focused mainly on re using of new technologies for geo-data providing and exchanging. Development of applications based on collaborative technologies, implementation and integration geo-spatial services and tools into new Open Data and Open Source solution represent the main activities of this living lab not only within EU funded projects, but also in day to day working environments. Our value is based on being able to provide a single integrated architecture capable of solving the problems associated with the digitalization of the world in which we find ourselves. We are leaders in vertical applications in strategic sectors for the economy and sustainability of the planet such as Energy, Waste, Water, Mobility, Security and Communications. Our horizontal platform framework adds capabilities to our verticals such as integration with third parties, the ability to analyze aggregate information from different data sources, the ability to process and analyze large volumes of information, predictive analytics capacity based on historical data acquired by our own solutions, we are agnostic against communications having developed solutions in Sigfox, GPRS, NB-IoT, LoRa …, all under an umbrella of cybersecurity added in all the layers that are part of the architecture. Wellness Telecom will be responsible to create and ensure the maintment of the interface of the platform (WP6). It is a peer-learning platform that will be a powerful tool for the sustainability of the project and this is gathered by the concept of RAIN Entrepreneurial Community. The community will be open only to registered users and it will be an innovative environment where entrepreneurs can virtually meet, capitalize their experience and ask for advices. Zafer Development Agency is a dynamic regional development agency operating in TR33 Region. The region consists of four unique provinces that are Afyonkarahisar, Kütahya, Manisa and Uşak. ZEKA promotes cooperation and communication among local actors including members of local government, private sector, universities, NGOs, local media and the public to strengthen regional socio-economic growth and development. It creates and promotes strategic partnerships among local actors and provides financial and technical support. Being one of the pilot sites, Zafer Development Agency provides smooth implementation and coordination of project activities. LIVERUR is being implemented in Manisa Province, which has the highest added- value and biggest share in terms of agricultural production in Turkey. ZEKA provides smooth communication with relevant stakeholders for successful implementation of the project to widely spread project’s results among the regional and national stakeholders, as well as international area via its networks. In addition, Agency designs consultancy activities, training and financial support programs according to experiences and knowledge gained during the project. ZSI (Centre for Social Innovation) is a private non-profit research organisation with more than 50 employees, established in 1990. It was converted into a company with limited liability and officially recognised common public interest status in 2014. We work in different environments with diverse clients and stakeholders such as the European Commission, Ministries, Municipalities, OECD, ILO, other public bodies and NGOs as well as citizens and private sector companies. ZSI has worked on the definition and measurement of social innovations for many years and offers vast expertise in theory and practice of social innovation processes in general, and of social inclusion and innovative financing approaches in particular. As a scientific partner, ZSI will contribute to the project with its profound expertise on the social inclusion potential of rural business models as well as on innovative financing models. ZSI will mainly be involved in the elaboration of the study on the living lab technique and its feasibility assessment (WP3). Moreover, ZSI will support the conceptualisation of existing rural business models (WP2) and the development of a regional circular living lab business model (WP4). Úhlava, o.p.s., is a non-profit organization founded in 2001 in Klatovy (Czech Republic, Pilsen region), which focuses on educational, advisory and information activities with a focus on regional development, environment, agriculture and rural development. In cooperation with the Czech University of Life Sciences Prague, Úhlava, o.p.s. ensures Klatovy region university education in the field of Public Administration and Regional Development. Furthermore, it organizes a number of educational events, seminars and courses, supports information consulting centre focused on environmental protection and sustainable development. 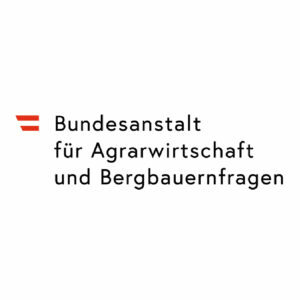 In cooperation with the Bavarian partner (Amt für Ernährung, Landwirtschaft und Forsten Cham) Úhlava,o.p.s., provides consultancy on agriculture, rural development and tourism in the country. WP2: To give feedback and provide data on business models in the area of LAG Posumavi/Czech Republic. WP3, WP4 and WP6: To give feedback. Piloting task name: Living Lab in agro-tourism and selling of niche products from the farm.